Chairman of Russia’s Human Rights Council favors torture prevention idea | Russian Legal Information Agency (RAPSI). 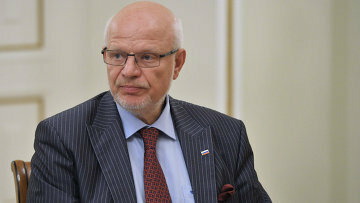 MOSCOW, September 27 (RAPSI) – Chairman of the Presidential Council of Human Rights Mikhail Fedotov has supported a proposal made by Russian ombudsman Tatyana Moskalkova on creation of a national mechanism for prevention of torture, the advisory body’s website reads. According to Fedotov, creation of such national mechanism is in line with the optional protocol for the United Nations Convention against Torture. He added that public supervisory commissions established in Russia back in 2008 could become an important part of this mechanism. The Council’s Chairman noted that it would be preferable if the federal ombudsman could appoint members of the commissions after receiving applications from organizations protecting human rights. While talking about recent torture scandals in Russian prisons, Fedotov stated that penitentiary facilities must be examined in a complex manner as they have to organize a system of video recording for violations committed by prison staff and inmates. He also said that the penitentiary system in general must be subjected to public control and members of the Council should be allowed to visit penal colonies and detention centers at any time, just like human rights commissioners.